eGenuity is the developer of high-tech POS (point-of-sale) software. Specializing in POS solutions for the car wash, quick lube, and automotive repair industries. eGenuity now supports customers in nearly all 50 states, Canada, and South America. Business owners both large and small have already seen that eGenuity offers the most powerful and affordable high-tech POS software, and that's why eGenuity continues to be the elite POS solution for customers worldwide. POS software systems should provide owners with the tools that will allow them to provide better customer service. These solutions will assist the operators with their day-to-day operations and management. Better customer service breeds new business, and better management breeds better business. We strive to provide solutions that fulfill these two definitive needs with our eLube and ezWash software. For more information on our software packages, click on the product you are interested in, or contact us directly. The ability to effectively manage inventory, do sales reporting, track customers service history, look up parts, and printing professional looking receipts is important for an automotive service business. A new software solution from eGenuity will provide these basic features and more. 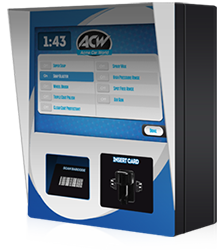 Your business may require an upgrade for its automotive lube software or a new fast lube point of sale system. We have a solution that will meet the needs and requirements of your full service or quick lube oil change business. There are many benefits available when you take advantage of our software solutions. When you are using a system that includes the most effective and efficient tools, then you can boost car counts, increase your ticket average, and improve productivity. Our products are an all-in-one solution for your business. 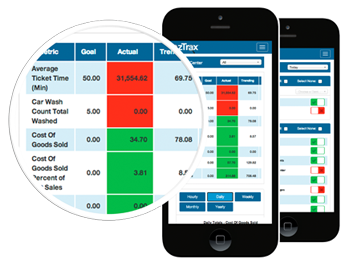 With over 200 reporting functions to manage labor, sales, scheduling and much more. The simple to use and user friendly interface will keep your employee productivity high. Complicated systems have a tendency to frustrate technicians and lead to longer service times or a lack of use contributing to mistakes or poor record keeping. 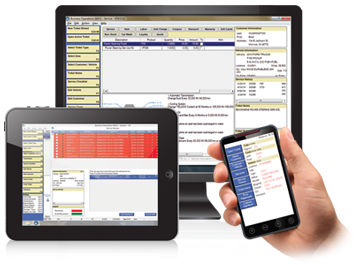 Our auto repair POS software can be installed on a Windows-based PC and is compatible with iPhone and Android devices. 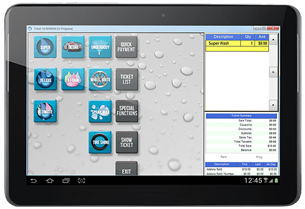 If you operate a car wash business, we offer car wash POS systems as well featuring integrated car wash controllers. You won’t be able to effectively run your business when you’re distracted by computer problems. A computer glitch can result in dissatisfied customers and interrupted workflow. The POS system in use at your business needs to be reliable. Our automotive lube software is a robust and affordable product that has been designed for both speed and efficiency. To keep you up and running, we offer full support with your software. On top of telephone support and regular product updates, we are able to remotely connect, diagnose and repair any issues online so you’re never stuck with the downtime of waiting for a technician.